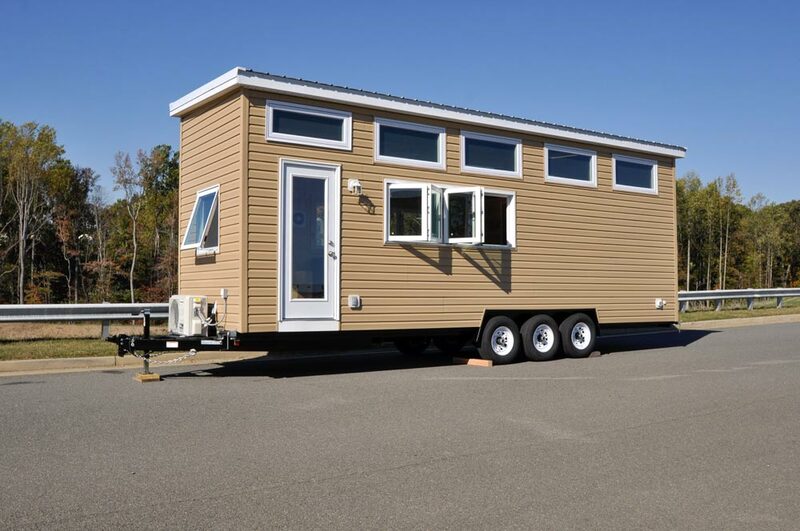 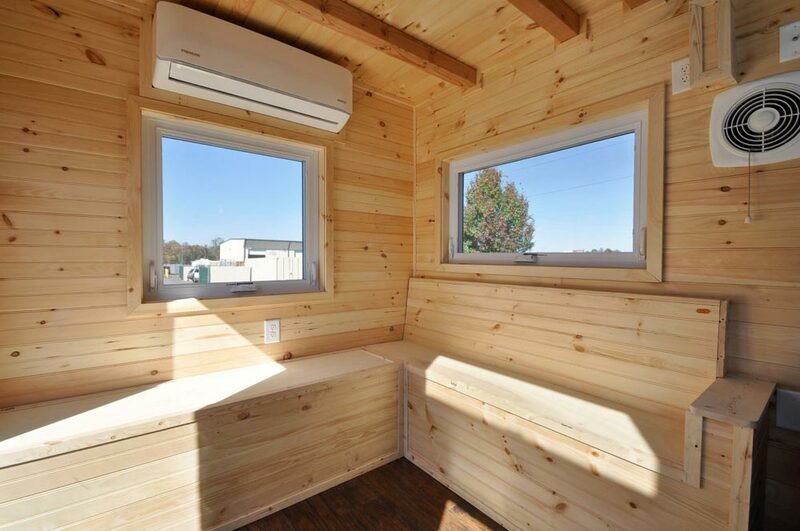 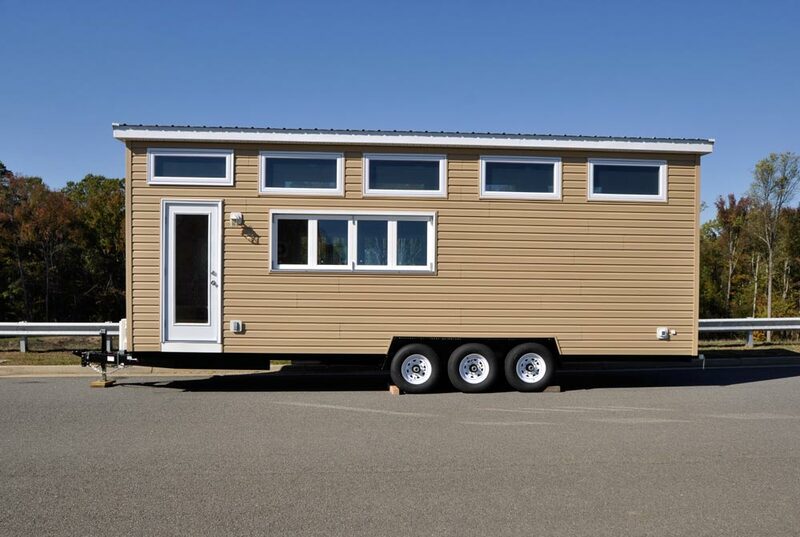 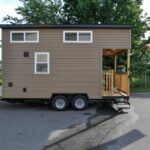 With its two accordion style windows, the Hillside by the Tiny House Building Company helps you feel apart of the outdoors while enjoying the comforts of home. 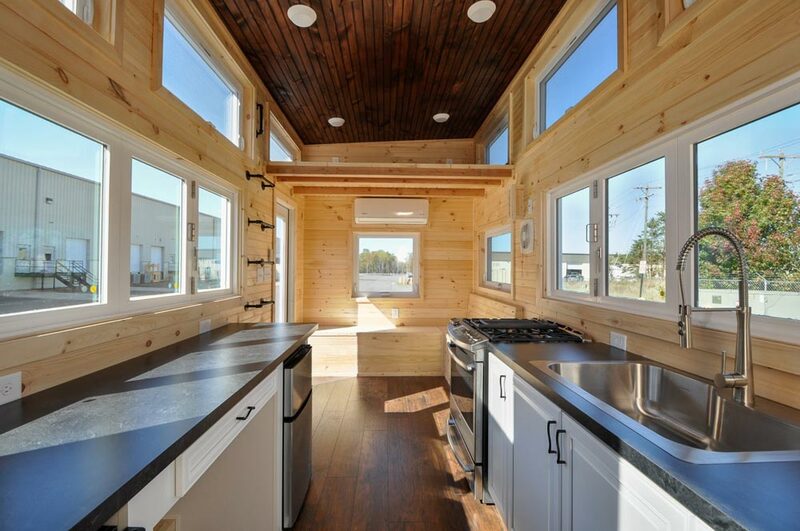 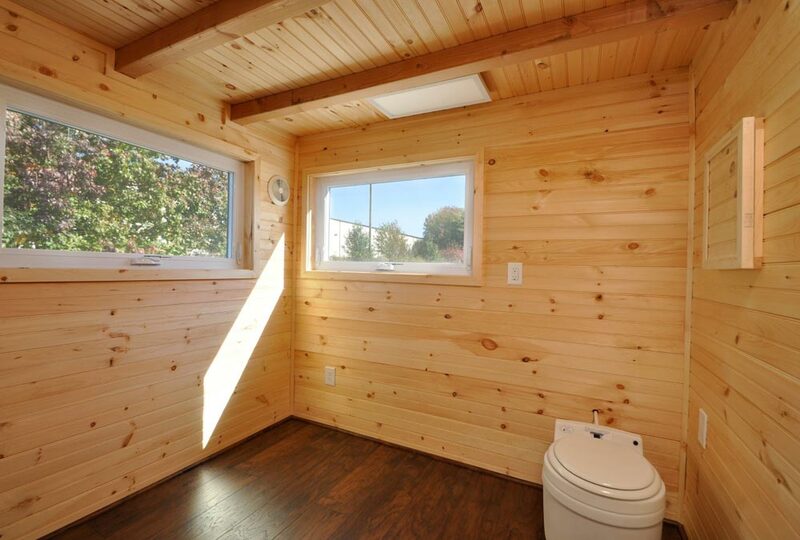 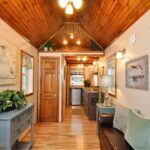 The tiny house also has clerestory windows and a skylight, providing abundant natural light and fresh air. 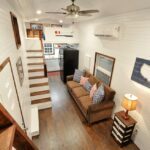 The Hillside is 28-feet long and approximately 336-square-feet between the main floor and two bedroom lofts. 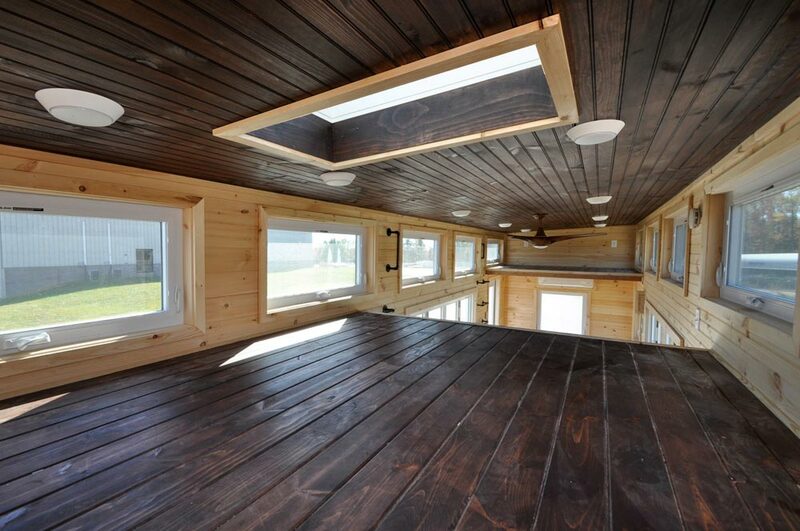 The master loft is large enough for a king bed and the second loft can be used as a twin bedroom or storage loft. 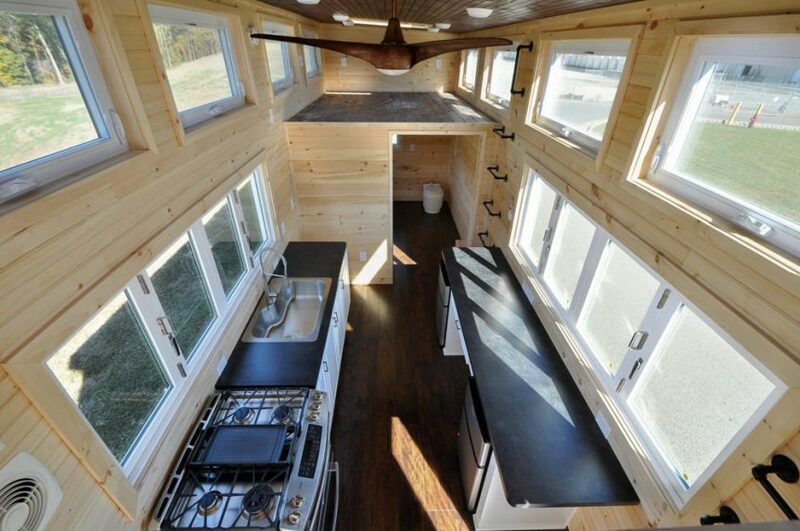 Both lofts are accessed by wall mounted pipe ladders. 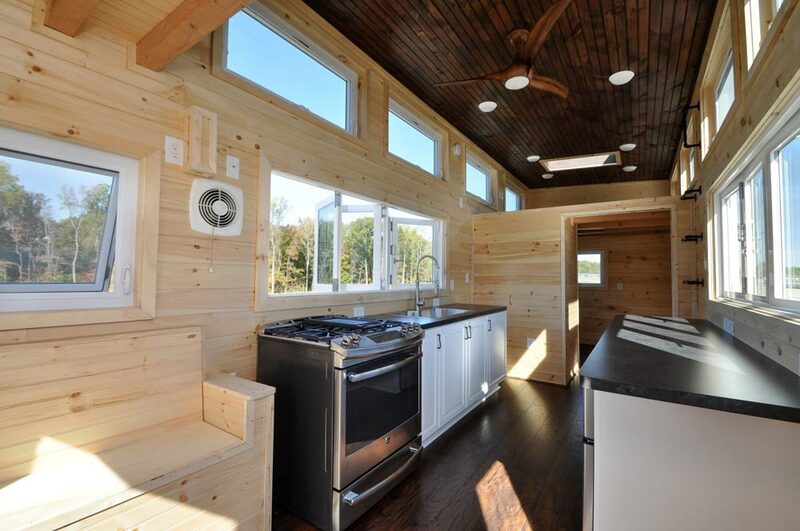 The dark wood flooring and ceiling are contrasted with natural wood siding on the walls. 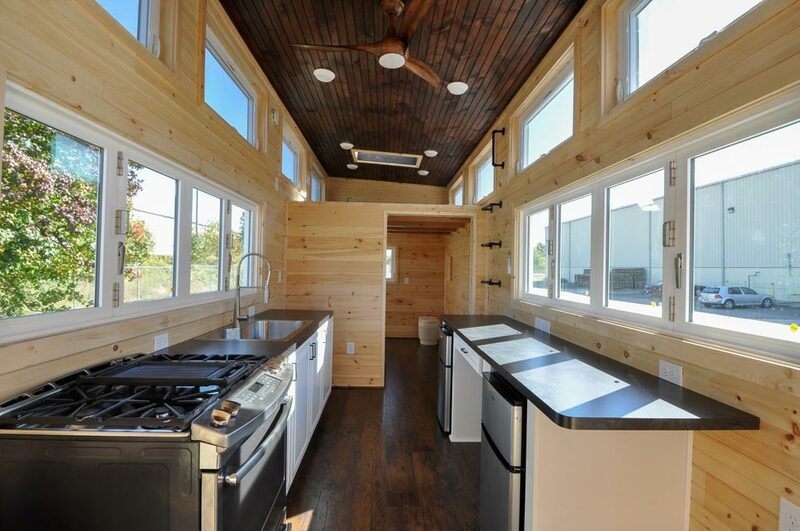 The galley kitchen features custom cabinetry with easy close drawers, double refrigerators, large propane stove with oven, oversized sink with specialty faucet, and desk area. 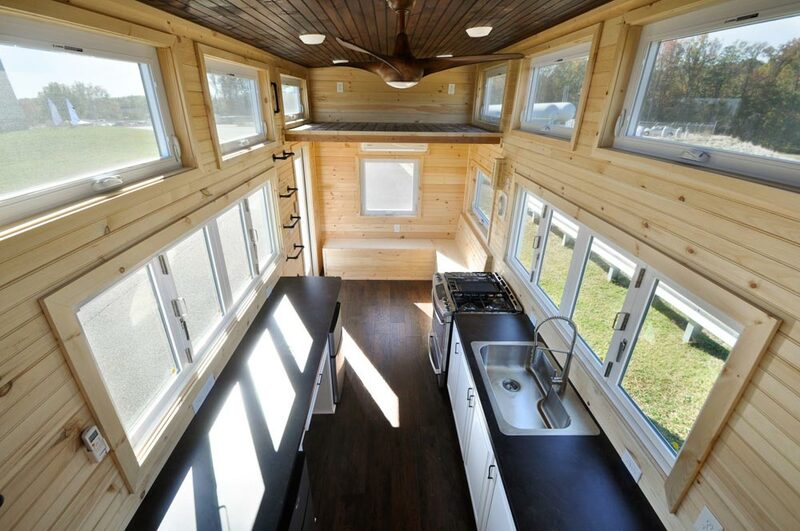 Built-in seating next to the kitchen houses a freshwater tank and water pump. 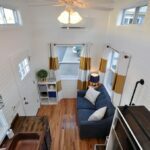 The bench can be moved to create a sofa/daybed area. 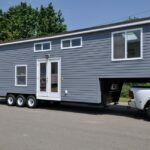 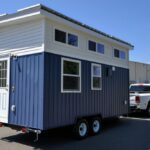 For more information about the Hillside, including pricing, please contact the Tiny House Building Company.